Looking to zero in your rifle and do a deer hunt without spending an arm and a leg? 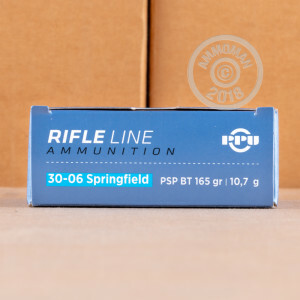 Grab a few boxes of this .30-06 Springfield ammunition from Prvi Partizan. 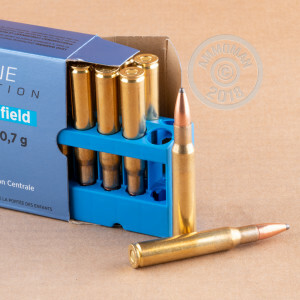 These cartridges fire a 165 grain soft point bullet that expands quickly and brings midsize game down with ease. A high muzzle velocity of 2,805 feet per second ensures reliable mushrooming. 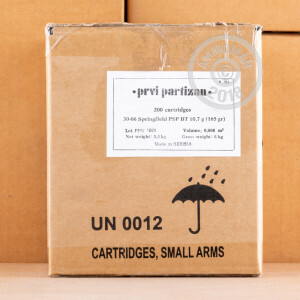 Prvi Partizan ammo has been manufactured in Uzice, Serbia since the 1920s. It uses non-corrosive Boxer primers and brass cases. Don't miss out on our free shipping promo--place an order over $99 at AmmoMan.com to qualify!